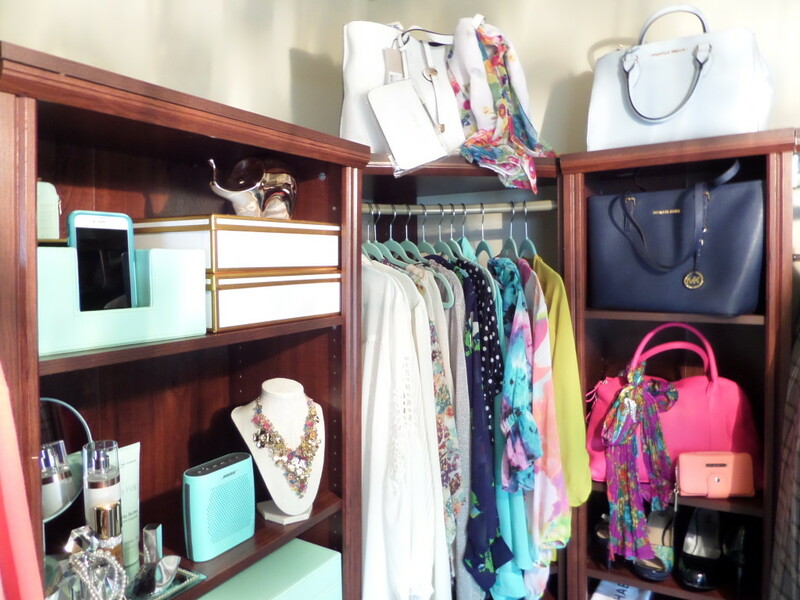 Our Master Bedroom Closet Makeover is finally finished. Closetmaid Impressions made it possible. 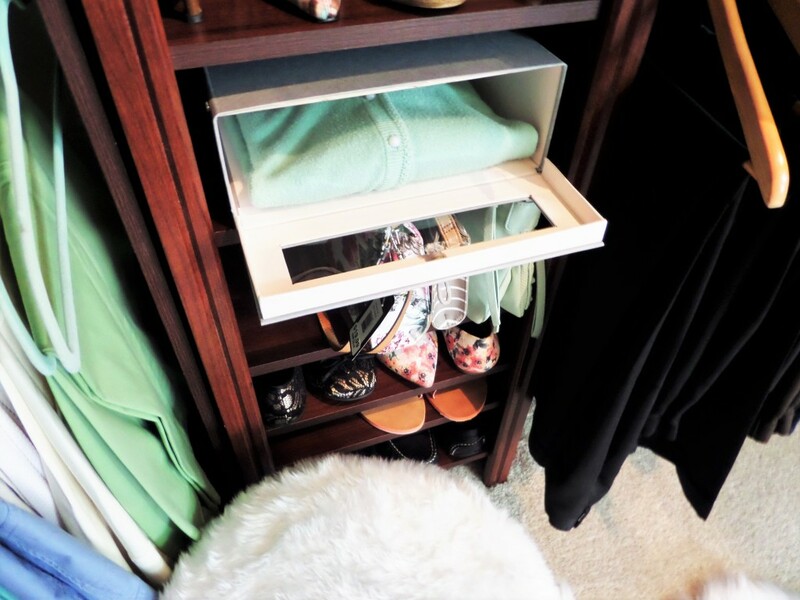 My vision was to create function and practicality in our closet. 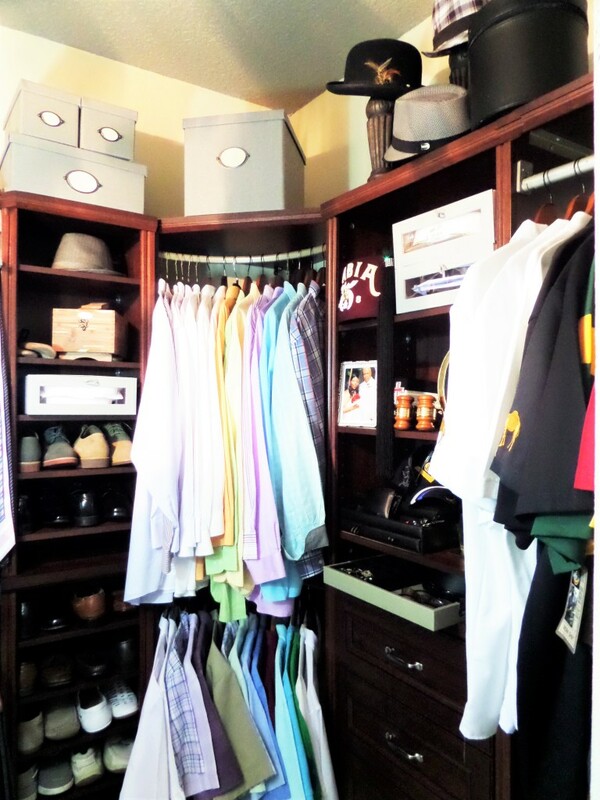 It’s certainly life changing for us to be able to walk into our closet without chaos. This is the before, hideous right? Busting out the seams is an understatement. This is the only closet in our home that was neglected. I knew it was going to be a huge job but I wasn’t prepared for how BIG! When we move in our home over 5 years ago, our plan was to get a functional system installed. Picky me wanted to wait to make sure is was right. Clothing stuffed on top of one another wasn’t cutting it for us. First order of business was to PURGE! Wire Shelving, has never been my biggest fan. Fresh paint was applied after ripping out the wire shelving. Our entire closet had wire shelving around the perimeter of the closet. 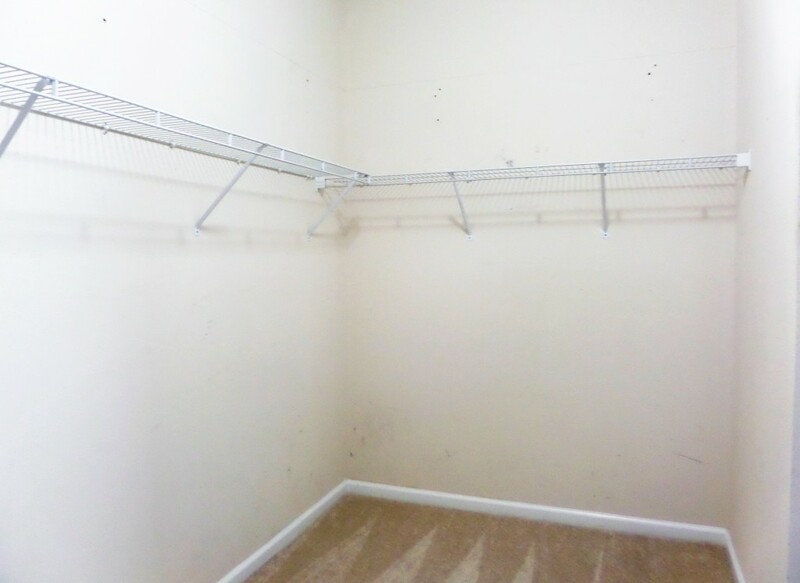 I wanted to keep the walls a neutral color because there’s no natural sunlight in our closet. 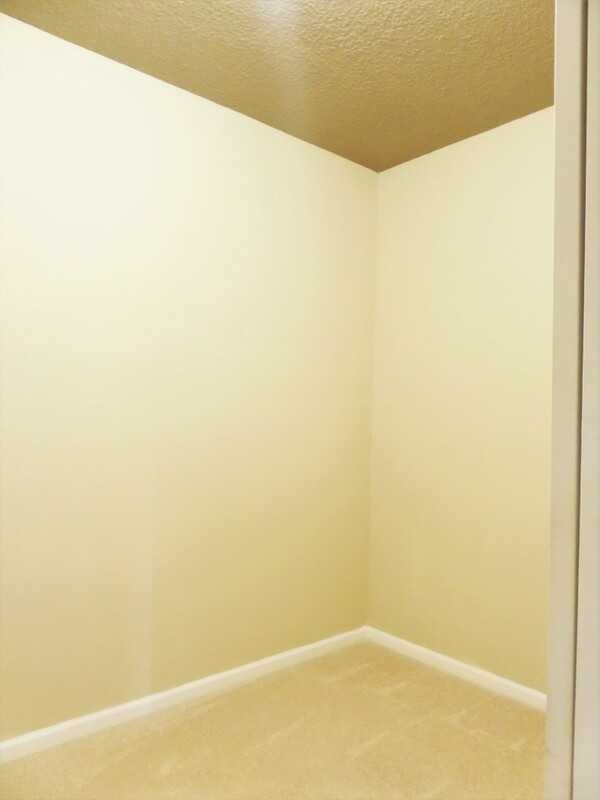 Valspar paint was used on the walls and for some drama a deep coco color was put on the ceiling. Builders grade lighting…NO MORE! A Chandelier was a must have on the list. It was on clearance at Lowe’s for $81. Got the last one. It’s currently discontinued. 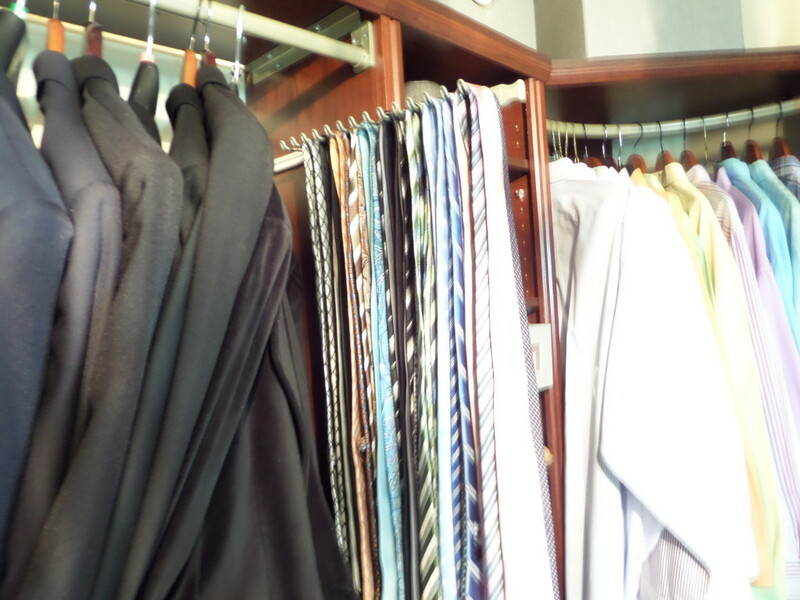 Closetmaid Tie and Belt Rack is perfect for organizing belts and ties. It helps keep them neat and it also makes it easier to find what you need quickly. The rack can be installed on a wall or door. 2. Corner Rounder Bar helps maximize your corner space. 3. 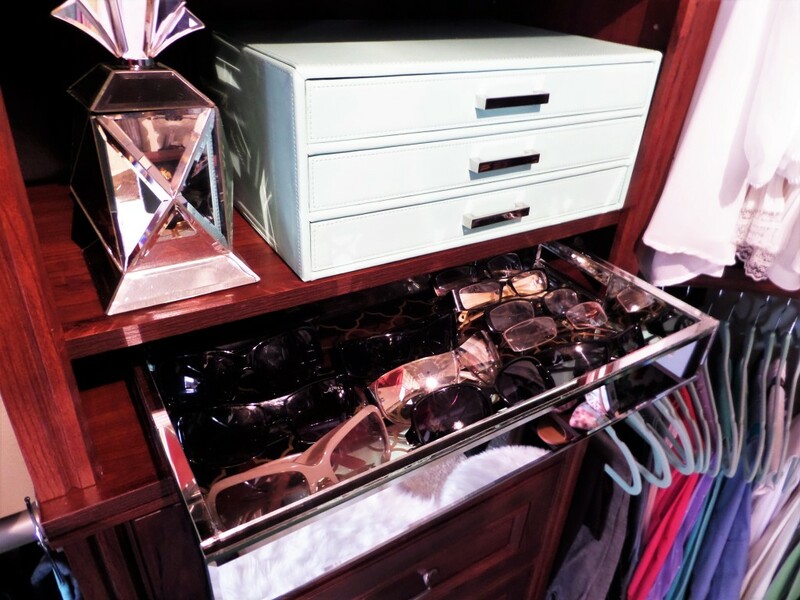 Drawer Dividers helps keep under garments organized. 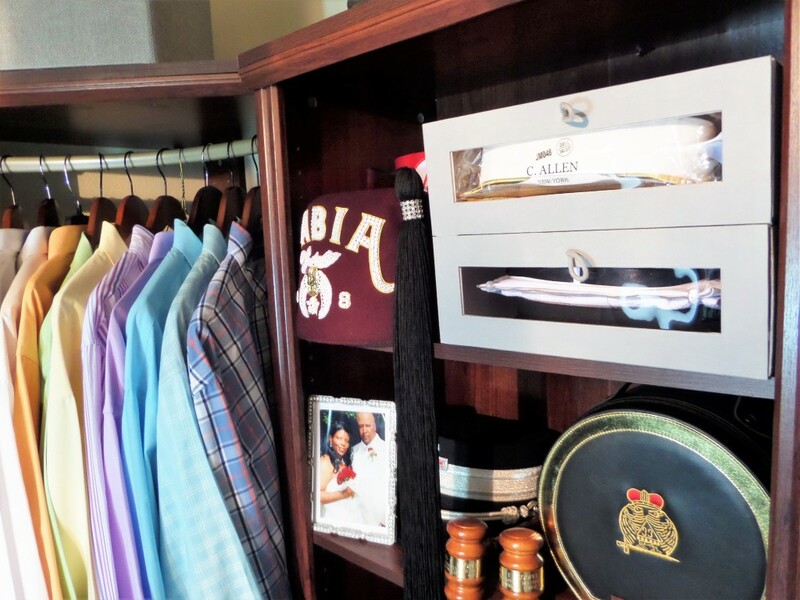 4.Valet Bar perfect for putting an outfit together or laying out your clothes for the next day. 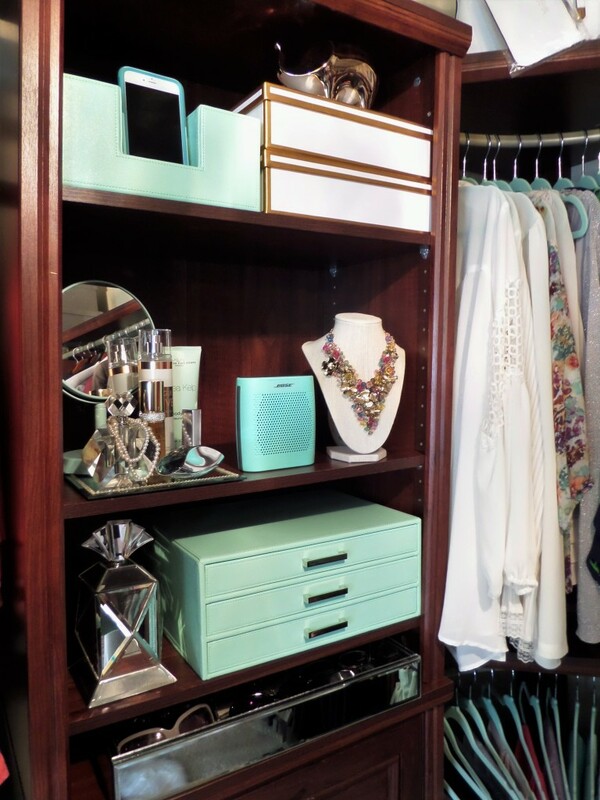 New closet calls for new accessories. A quick trip to Homegoods was so much fun. It’s been years since I purchased accessories for our closet. In case you missed it I did a Homegoods haul video on YouTube! Mirrored Trays, are not only great for serving drinks at a glamorous dinner party. I’m using it to hold all of my sunglasses and reading glasses. Closetmaid Impressions offers so much storage. Purses, clutches, shoes and flipflops fits perfectly on their closet kit. Faux Fur Area Rug and a Faux Fur bench was added for some feminine touches on my side of the closet. It’s cozy, luxurious heck it’s down right pretty. Ikea HYFS Shoe Boxes are attractive, functional and well made. Of course, I’m not using it for shoes. I’m using it to store my cashmere sweaters in them. It’s better to fold your sweaters so you don’t get ”shoulder bumps” on them. I’m not certain if they’re still selling the show boxes. My Husband’s side is the exact mirror of my side. Shirts are arranged from light to dark it makes it much easier to find what you need. Short sleeve shirts and polo shirts are on the bottom. 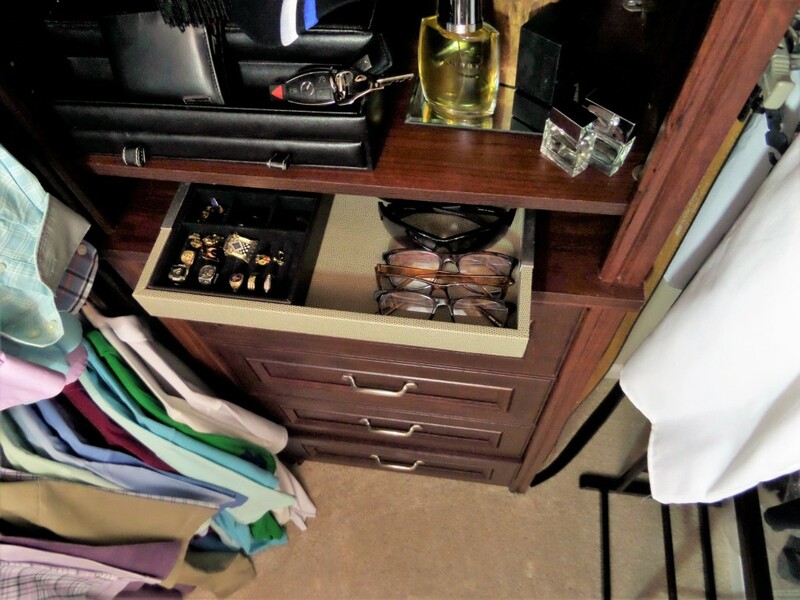 Fez, crowns, colognes and his dresser valet is all on his hutch. 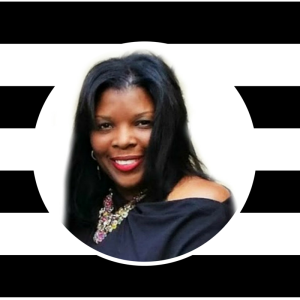 Everything is at easy a reach for him. Serving trays are so versatile. I love using them for corralling sunglasses and reading glasses. 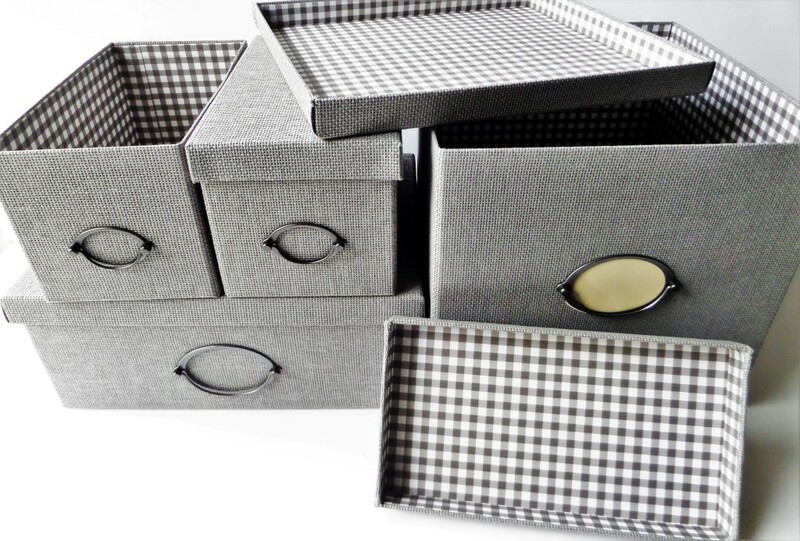 IKEA KVARNVIK Box With Lid is perfect for photos or items you don’t want people to see. I’m using them to hold all of his baseball caps in the larger one. The smaller ones has his ankle and knee braces. 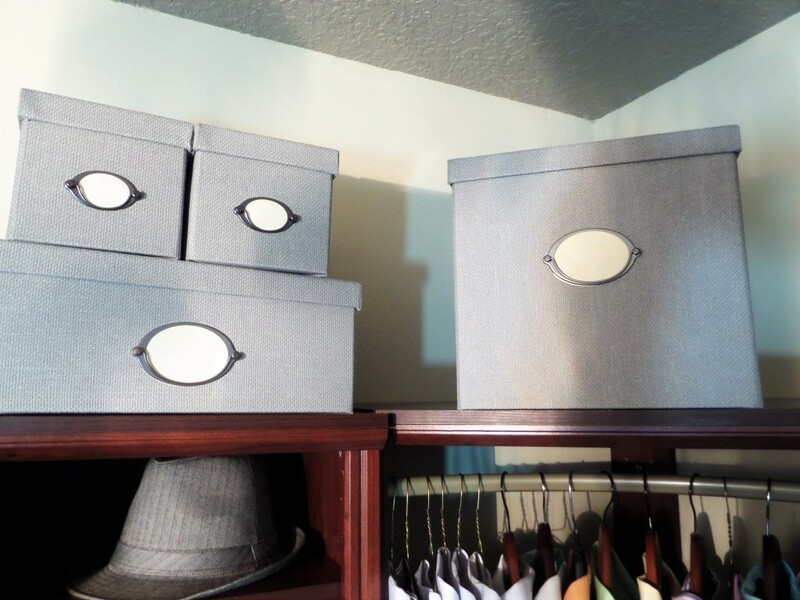 Fedora hats are in the wider box. This was a labor intensive but a very easy project to do. Only because of the size of our closet space. Have like clothing in it’s own place and shoes off the floor is just priceless. Everything has a place and we’re certain to keep it this way.